Invisible Worlds Residencies are a collaboration between the Eden Project and FoAM, funded by the Wellcome Trust and Arts Council England, based at the Invisible Worlds exhibition at the Eden Project throughout 2018. From an open call attracting applicants from across the globe, three residencies were selected to explore phenomena beyond our senses: too vast, too small, too fast, too slow or too far away in space or time. You can read about the residents and their projects below, and see their final reports here. You can follow this residency via images posted here and read about it here. Resident's biography: Rosanna Martin is an artist whose sculptural practice is rooted in research, experimentation and manipulation of ceramic materials. She is interested in the way we interact with the land, and her recent work is being made in direct response to specific sites in Cornwall. She graduated from The Royal College of Art in 2013. Collaboration and facilitation runs through her practice, and she has worked on a number of projects for Bethlem Royal Hospital, Kettles Yard, and Workshop 305. Working with Ester Svensson she was commissioned to create No One Owns The Land as part of HOUSE 2014. In 2016 Ester and Rosanna co-curated and produced These Walls Must Fall, an exhibition and art auction to raise funds for Articulate. In 2017 she returned to Cornwall and founded Brickworks, a centre for learning, experimentation and creativity in clay. She currently works from here and her studio in Grays Wharf, Penryn. Residency description: Our interaction with the planet has given rise to a place where human and geological forces are no longer always distinguishable. 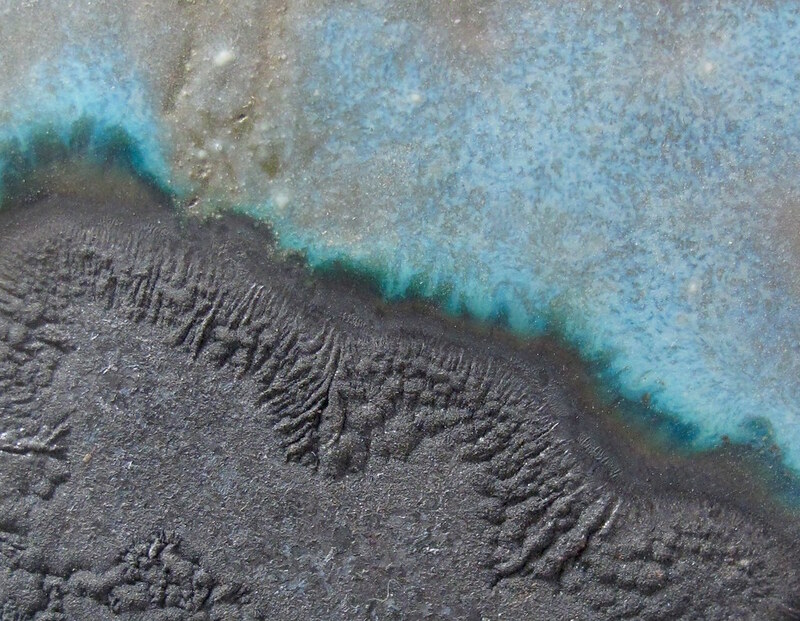 Disintegrated Rock will explore this concept by engaging in a process of microscopic examination, research and material manipulation of sands, silts and clays that were spilt out as by-products from Cornwall’s china clay industry and related erosion. A series of sculptural rocks will be created to form a handling collection for visitors to Eden to discover, displayed alongside research and experiments. This residency is now complete - you can read about their work here and find additional images here. Residents' biographies: Katharina Hauke is a Berlin based audio and visual artist. She studied Philosophy at Rheinische Friedrich Wilhelms University in Bonn, Germany and continued her studies at University of Applied Sciences in Düsseldorf, Germany. She graduated with a diploma in Communication Design with her thesis, Darwin’sche Finkensuchen“. This project started her artistic research on the question of identity, subjectivity, the medium, perspective and other forms of perception working with video and audio recordings and manipulation. 2012-1016 she studied with Prof. Alberto de Campo at UdK, Berlin. Additionally to his class of Generative Arts she visited Prof. Thomas Arslans class of Narrative Film. One of her graduation projects was the Mikrokontrolleur, an electronic musical instrument designed for vocalists. This was the second instrument she built within the 3DMIN research project and is an ongoing artistic research in collaboration with Dominik Hildebrand Marques Lopes. Katharina works as cinematographer for documentary and fictional films including Mikel (2016, directed by Cavo Kernich and shown at Berlinale, Achtung Berlin Festival, Duhok International Film Festival, nominated for First Steps Awards), LIMA (2017, directed by Katharina Hauke und Sabine Unferfert-Hauke), Where do High Jumpers Fall (2017, directed by Eren Aksu), and Am Ende des Tages (2017, directed by Svenja Heinrichs). Till Bovermann, living and working in Helsinki and Berlin, received his PhD for his work on Tangible Auditory Interfaces from Bielefeld University. As a post-doctoral researcher on tangible and auditory interaction at the Media Lab of Aalto University, he initiated (among others) the DEIND project in which music instruments for people with autistic spectrum disorder were designed. Till was the principal investigator/UdK Berlin of the 3DMIN project on “Design, Development and Dissemination of New Musical Instruments”, a collaboration between UdK Berlin and TU Berlin. Among other lecturing positions, Till gave courses on artistic research at the IMM at RSH Düsseldorf, the Ecology and Contemporary performance at UniArts Helsinki, and UdK Berlin. In 2017, Till was Resident Artist at the IEM Graz. In his artistic research, Till is interested in mediating and re-contectualising every-day natural phenomena like wind, water current, growth and motion, with the intent to shift the spectators’ experiences towards an unusual perspective, often involving listening. Works include “Anemos Sonore” (an instrument to listen to wind), Chip interpretations (sonifying and live-coding of CPUs) and public Beehive concerts (in collaboration with Melliferopolis 2013/2016). 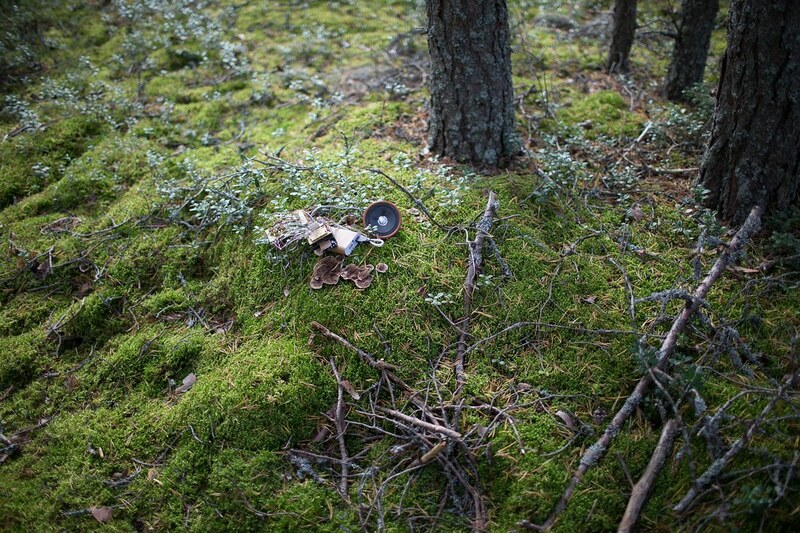 As a member of the “Finnish Bioart Society”, he is closely associated to the finnish bioart scene. He was an active participant in two “field_notes”, their artist field laboratory format held bi-annually in Kilpisjärvi,thus making him an eager observer of the cultural, biological and political situation of the arctic tundra and its inhabitants. Till develops software in and for SuperCollider and runs TAI-studio.org. Residency description: Within our project, we invite all curious organisms and life-forms in and around the Eden Project to create sounds and improvised experimental music together. Small networked music making systems will be set up within the various sites of the Eden Project that feature differing degrees of self-sufficiency and interaction possibilities for both visitors and inhabitants. We will adapt and extend the semi-autonomous platforms on-the-fly to both sense and provoke actions of the various actors, inviting them to explore emergent collaborative phenomena. You can read more about this residency as it develops here. Resident's biographies: Hoon is a mathematician, musician and chef currently running a pop up Korean restaurant, Sohn Kitchen, as well as a series of workshops. He received his training under three former Fifteen chefs and now focuses on using traditional ferment processes of different cultures with seasonal Cornish produce. Elizabeth is an illustration graduate interested in effective visual communication for practical and educational use. She specialises in printmaking and problem solving, using collage, ink and typography, and is open to collaborations of all kinds : presently working on a beginner Japanese language learning book for children. She is also part of Sohn Kitchen’s service team, bringing tasty food to tables across Cornwall. Residency description: Ferment! is an interactive workshop where we can explore the process through science, food and art. British cuisine is uniquely disengaged with this ancient process but we believe it can be a useful tool in developing a new culture. As a simple method of preserving natural seasonal gluts and creating exciting flavours with local produce, knowing how to ferment can help open new dialogues between growers and consumers, the environment and the seasons. 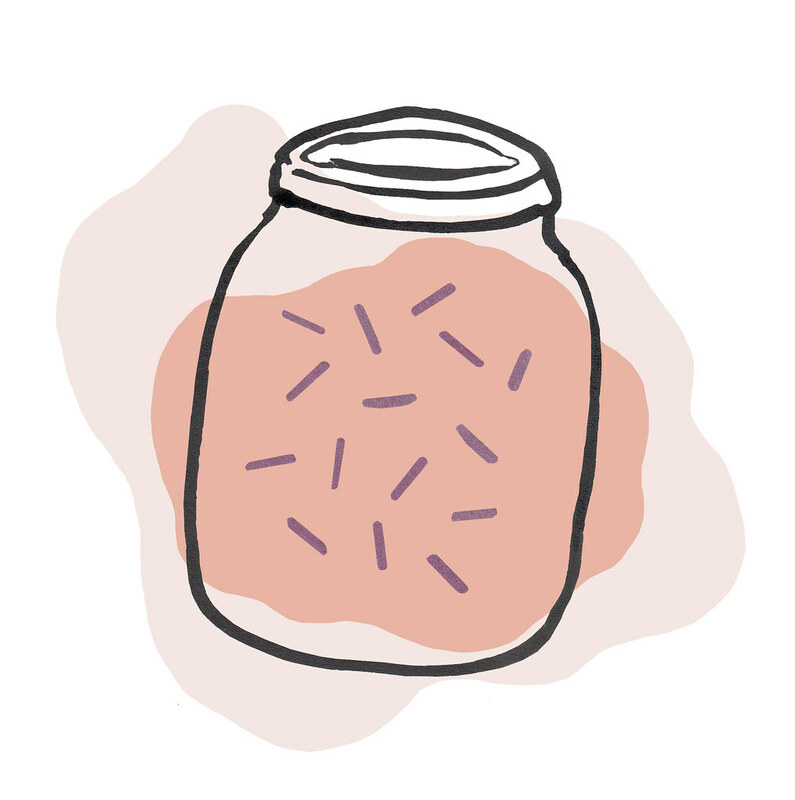 We invite you to study fermentation on its microbial scale, to taste and create your own ferments and explore the sound and art of this wonderful process! The process of fermentation is driven by microbes and as the foods ferment the microbes change as well. In this residency we will be using new technology to read the DNA of the microbes using a hand-held device. The device uses nanotechnology to read a stretch of DNA as it passes through a nano-sized hole. This way, we can work out which microbes are present in the fermentation process and how the number of microbes changes. Alongside the DNA sequencing we will measure traditional indicators of the fermentation process like gas production and pH. Together these measurements will help show how bacteria are creating our fermented foods. The DNA sequencing aspect of the Ferment! residency is additionally sponsored by Oxford Nanopore Technologies and the Society for Applied Microbiology.